Barbara Kyle is a master writer who teaches classes on writing, as well as being an accomplished author. More important for those working on their own manuscripts, Barbara is offering a contest to win a manuscript evaluation from her. What Is a Manuscript Evaluation? A manuscript evaluation is an in-depth, developmental editing report. It provides a “big picture” analysis of one’s story, examining its premise, structure, character development, voice, dialogue, setting, prose style, pacing, POV (point of view), and marketability. It also offer suggestions on how any weaknesses might be improved. Grand Prize: a $1,200 manuscript evaluation! Want expert feedback about your manuscript? Then this contest is for you. The contest open to anyone with a work of fiction or narrative non-fiction. All genres are welcome. There is no fee to enter. Entry deadline is 30 April 2015. And here is the great thing. If you win, you have up to a year to send Barbara your manuscript. If it’s ready now, that’s fine; send it as soon as you hear you’ve won. But if you need more time to complete it, that’s fine too. Winners will have up to a year to send their manuscript. 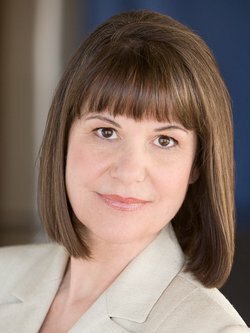 Through Barbara’s mentoring experience, she has launched many writers to published success, including bestselling mystery author Robert Rotenberg, historical novelists Ann Birch, Tom Taylor, and Barbara Wade Rose, award-winner Steven T. Wax, and debut novelist Marissa Campbell. Now it is your turn! Enter now for a chance to win an in-depth analysis of your work. The manuscript evaluation will be conducted in a discussion with Barbara by Skype or by phone. The Grand Prize winner will receive a full 2-hour discussion with Barbara. 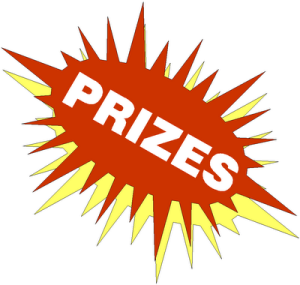 The Second Prize winner and Third Prize winner will each receive a half-hour discussion with Barbara. The evaluation will consist of Barbara’s in-depth analysis of the manuscript in which she will pinpoint the story’s strengths and weaknesses with regard to premise, structure, character development, voice, dialogue, setting, prose style, pacing, POV (point of view) and marketability. She will also offer suggestions on how any weaknesses might be improved. **The deadline to enter the contest is 12:00 midnight EST on 30 April 2015. 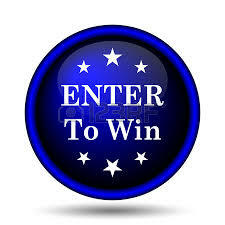 **There is no fee to enter the contest. **To enter, email a sample of your writing to Barbara at manuscriptcontest@gmail.com. **Send it either in the body of the email or as an attachment in Word or PDF. **Maximum length of the writing sample: 1,500 words. It can be from your work-in-progress or a previous work. **The 3 winners will be notified on 10 May 2015 and their names will be posted on Barbara’s website. **The 3 winners can then send Barbara their manuscripts right away, or take up to 12 months to do so. So, if you win, there’s lots of time to finish your manuscript if you need it. **For the Grand Prize winner, the maximum length of the full manuscript is 120,000 words. The manuscript must be double-spaced in 12-point font. **For the Second Prize winner, the maximum length is 50 manuscript pages double-spaced in 12-point font. **For the Third Prize winner, the maximum length is 25 manuscript pages double-spaced in 12-point font. Ready to enter? Great! Here’s how. 1. Send a sample of your writing to Barbara at manuscriptcontest@gmail.com. 2. Maximum length of the sample: 1,500 words. Format: double-spaced, 12-point font. 3. The sample can be from your work-in-progress or a previous work. 4. Send the sample either in the body of your email or as an attachment in Word or PDF. where did you hear about the contest? Enter now! Email your sample and contact info to Barbara at manuscriptcontest@gmail.com. Deadline to enter the contest is midnight EST on 30 April 2015. This entry was posted in manuscript evaluation and tagged Barbara Kyle, contest, manuscript evaluation. Bookmark the permalink.